This week something by Miron Kovats (miron89, or cselloman), from MALUG (The Hungarian LUG). He built a small plane (Sky-Fly) whose wings are retractable using a smart and compact mechanism driven from a LEGO Technic Linear Actuator. You will see it all, from the video below. It was an entry for the LEGO Technic Challenge in March, dedicated to the utilization of "Linear Actuators" in models. Unfortunately it didn't made through this time. It looks like a movie poster! 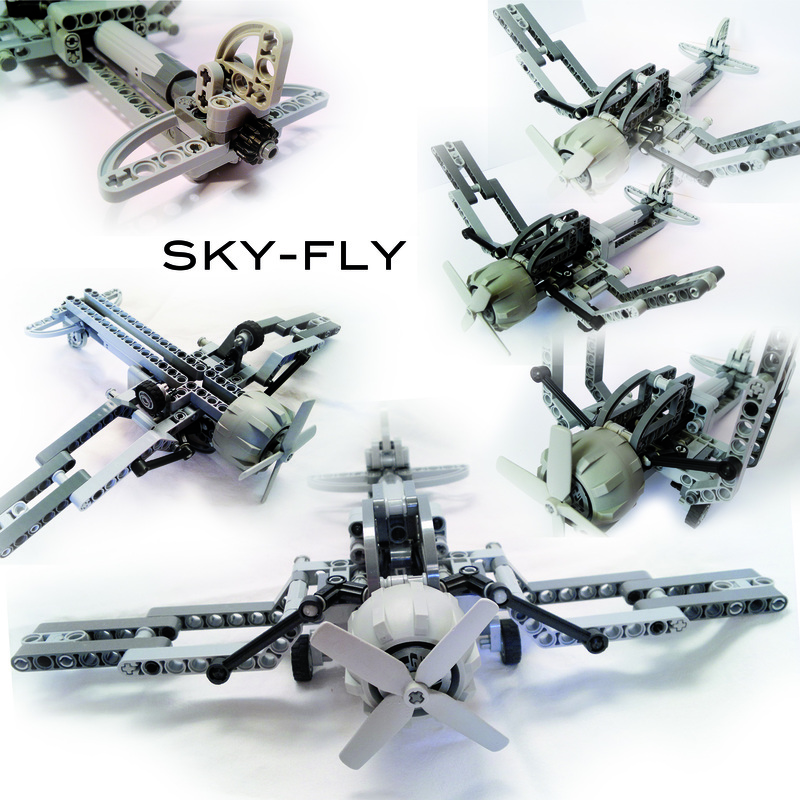 You may find a lot more pictures from this miron89's model, at his Brickshelf gallery, here. Will they show the AFOL entries for the challenge each month, like they did last year? As far as I was informed, there is also a contest for the adult entries, like in the last edition. The fact is that the adult entries selection, was not yet shown! Lets wait some more time, before addressing it with a new question. I think they'll probably show them when they announce the winner of the under 18's. This is quite a nice MOC, a neat function well executed. I think it could perhaps have used a little more colour and perhaps some panels on the back to give it a more streamlined look and cover the LA; it's a nice original model though. TBs TechPoll 24 - Should the Flex System return?